SOMAS sells and develops various products that help decrease our customers’ environmental impact. Our products are for instance used in applications that aim to decrease the use of energy or chemicals as well as for manufacturing sustainable products. We have a long track record of working with the pulp and paper industry. There, our products are used for solutions that convert bio-mass into recyclable products such as paper, carton or soft paper. In the shipping and shipbuilding industry meanwhile, our products are used as cargo valves to ensure that chemicals and/or fuel are kept separate and do not spill into the water or onto the ground when loading the cargo on/off the ships. SOMAS valves are also used in exhaust-systems in order to help exhaust fumes to return to the engine where they can be utilized once more for additional energy. 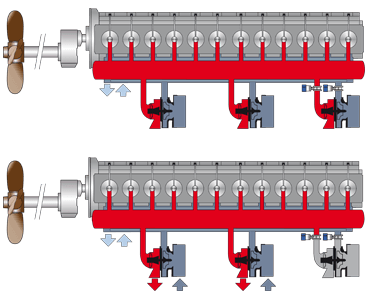 SOMAS valves can also help regulate how many engines a ship runs in order to optimize both speed and fuel efficiency. You can read more about these areas of application below. Within the energy sector our control and on/off-valves are used by the rapidly growing bio-fuel-industry as well as by powerplants and district heating facilities. SOMAS has delivered valves for steam turbines for well over 30 years. These valves have been utilized by large sun-cell facilities during later years. 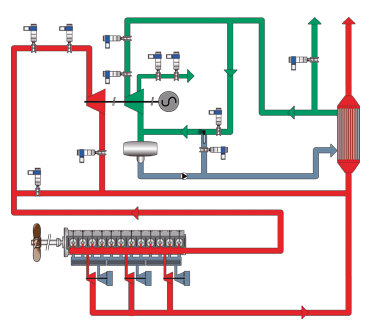 When a pilot plant for biofuel from wood cellulose was built in Örnsköldsvik, Sweden, SOMAS supplied all control and on/off valves. WHR-systems are typically installed in large two-stroke-engines intended for long periods of use on large ships. The raised fuel prices along with stricter environmental requirements have resulted in the development of systems intended to extract maximum energy from the fuel used. One way to do this is to utilize the energy within the exhaust fumes by letting them produce steam. 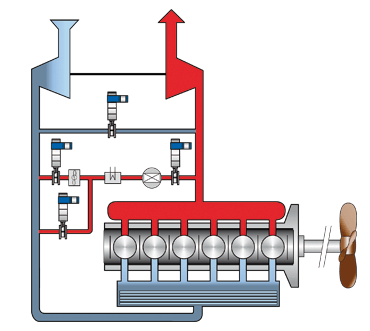 The steam in turn powers a steam turbine. The power from the steam turbine can then either be used to produce electricity or to compress air. If the WHR-system is efficiently implemented, fuel consumption can decrease by as much as 10%. SOMAS ball segment and butterfly valves are used for controlling or completely turning on/off the hot exhaust flow, as well as in a number of different areas of application within the systems steam and water department. By recirculating part of the exhausts back to the engine’s air/fuel inlet the amount of NOx released is reduced without decreasing the engines efficiency. SOMAS exhaust valves are used for turning off or controlling the recirculation. The tightness of an on/off valve becomes of utmost importance and is an essential factor in helping the EGR-system achieve the expected environmental gains.